Whether your project is large or small, our team of experts can provide the resources and solutions you need to get the job done right and lower your costs. Our track record for consistency, timely service and mailroom expertise make difficult tasks easy to overcome. You will receive high-quality professional services from Pacific Mailing & Shipping Systems locally and family owned in Clackamas, OR. We are here to assist you by providing a wide range of services and mailroom equipment at affordable prices. Check out our low to high volume postage meters, folder / inserters, document folders, letter openers and supplies for your mailroom equipment. 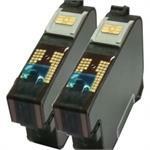 10ml set of OEM FP Mailing Solutions ink cartridges for FP PostBase series postage meters. 40ml set of OEM FP Mailing Solutions ink cartridges for FP PostBase series postage meters. 10ml set of recycled ink cartridges for FP PostBase series postage meters. 40ml set of recycled ink cartridges for FP PostBase series postage meters. 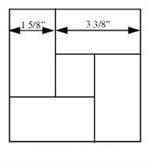 Universal short postage meter labels. 600 labels per pack. 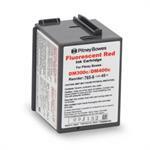 OEM Ink cartridge for Pitney Bowes DM300c, DM400c and DM475 postage meters. 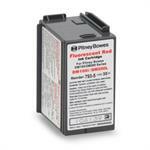 OEM Ink cartridge for Pitney Bowes DM100i, DM125, DM200, DM225 and SendPro 300 postage meters.